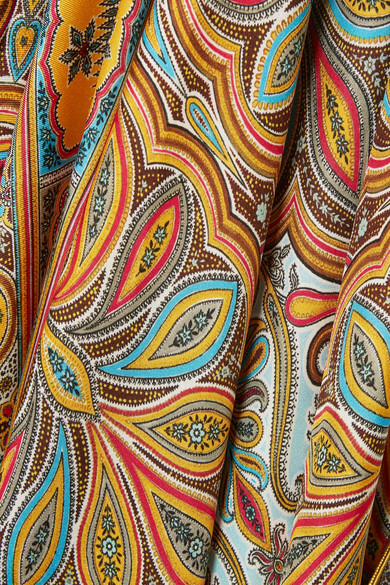 Etro's iconic paisley print was inspired by a collection of beautifully made vintage scarves, which is why the brand's current pieces often feel like one-of-a-kind treasures. 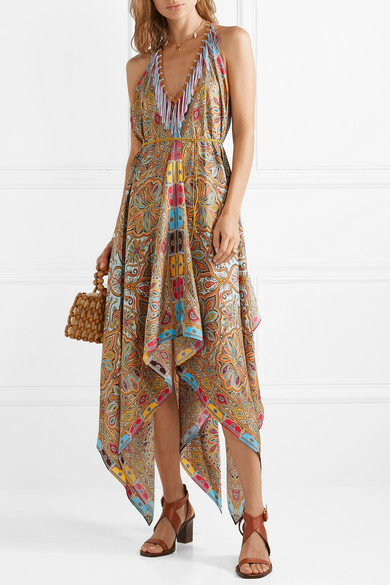 Patterned with the swirling motif, this lightweight silk-twill dress has a floaty, asymmetric hem and colorful fringing along the neck. Knot the slim tie at the small of your waist to temper the loose shape. Shown here with: Cult Gaia Tote, Chloé Sandals, Loren Stewart Earrings, 1064 Studio Ring, Jennifer Fisher Cuff, WALD Berlin Necklace.